IT leaders in Data and Cloud services from around the region. There is no ROI for security. It’s like military spending! Where Do You See Your Enterprise in the Digital Transformation Roadmap? ​How to Initiate a Digital Transformation Journey? What Defines a Successful Digital Transformation Solution? How Can Malaysian Enterprises Digitally Transform Themselves? Chris Morris is an Associate Vice President with IDC's Asia/Pacific ICT Services Group. 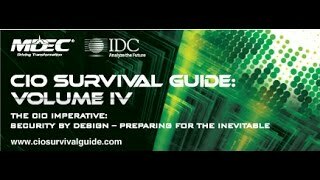 Take a look at the highlights from the CIO Survival Guide Volume 3 event held in Malaysia. See the days events including speakers, guests and more! In this video Harmit Singh, CTO, iProperty Group, talks digital transformation for their international online company as a continuous journey to enable growth with the end user in mind. 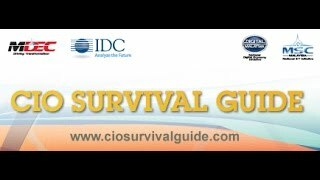 Take a look at the highlights of the fourth executive workshop of CIO Survival Guide series held on September 2016.